Build a fort, then get slaughtered in it. Who wants to build a fort?! Also, who wants to customize their character before building, then get owned by two dozen boss enemies attacking from all around at the same time?! That's the spirit! Versus is a freeform defense game that focuses on two things: lots of enemies, and co-op survival in a constricted world. Whew, intense. Versus, which is sometimes written as Versus Game or Versus - Sandbox Diorama, is an unusual species of game that plays like a surround sound tower defense title in a sandbox world, sometimes without the towers. The basic idea is that things are coming to attack and you want to stay alive. To do that, you might build a fort, prop up a few scattered defenses in key positions, or just load up on weapons and stay mobile. It's up to you, really. Just don't die and you'll get to see what other kinds of monsters this game will throw at you. 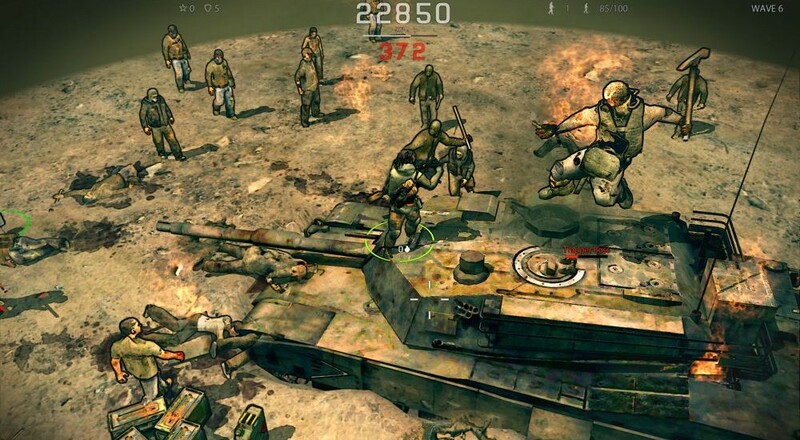 Co-op comes in the form of working together to construct defenses or defend your area with good old fashioned guns. The equal parts building, character equipping, and shooting creates room for a variety of play styles, which is quite a natural fit for cooperative play. While you stitch up that wall, someone else might be loading up on better weapons. Up to four online players can join co-op mode, and there's plenty of variety to keep everyone entertained for hours on end. Page created in 1.3824 seconds.